If you’re lucky enough to have a Pluralsight subscription already, then you will already have access to this course. If not, maybe it could be an incentive to get one if you have an interest in vCAC (vCloud Automation Center). Yesterday, online training provider Pluralsight launched their first course aimed at vCAC entitled “Introduction to VMware vCloud Automation Center (vCAC)“. The course is authored by Brian Tobia, who has produced a number of other courses for Pluralsight as well. As the name of the course suggests, it’s intended as an introduction to vCAC. If you’re at all familiar with vCAC, it’s not the simplest of products to get to grips with. There are a lot of components to it and it’s undergoing a period of intensive development and change at present. That might make you wonder how long this course will be current. Without having sat through it all, I couldn’t answer that but the table of contents suggest that it deals a lot with the concepts and entities that make up vCAC rather than digging into the nuts and bolts too much. Presumably, that will come with more advanced courses. It’s short notice, but if you can find the time it might be worth it. VMware have today announced a View 5 QuickStart Series running for two days. I said short notice, the first part is tomorrow! These QuickStarts do what they say on the tin, they’re crash courses to get you started. To register for these, you need a VMware Partner account. Once logged in, head to the Partner University, select “Programs” and then “QuickStart Series”. UPDATED: Sorry, the times originally posted were an hour out. 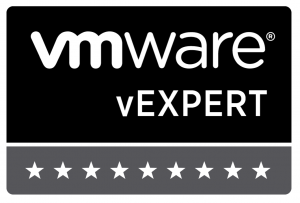 Earlier in the year VMware ran a View 4.6 BootCamp that was well received. As a natural follow-up to that, next week sees the start of a six part ThinApp BootCamp. At the end of the BootCamp you can register to download an eBook copy of all of the presentations. If you’re using or thinking of using ThinApp, this BootCamp is a free and self-paced method of learning more. To find out more, head over to the BootCamp’s page here. I notice that VMware are starting to produce courses that have a focus on the Cloud and vCloud Director. They very kindly sent an email to me this morning about it too. The following is shamelessly copied from that email. Learn the basics of cloud technologies and how to develop software for it by attending this one-day workshop. If you are designing and implementing public and private-cloud deployments, make sure you know all of the vCloud Director features and functionality needed to reap the benefits of this product. Attend the new, four-hour eLearning that consists of self-paced guided tours and product demos. Take this one-day course to learn about the features and benefits of VMware vCloud™ and how it delivers IT services in the Cloud. Students perform hands-on labs and the instructors demonstrate the basics of how the vCloud solution abstracts, allocates and meters IT resources in a vCloud environment. If you want in-depth, hands-on training on designing and implementing a VMware vCloud, attend VMware vCloud: Architecting the VMware vCloud. Students must have VCP-level knowledge of vSphere, so this class isn’t for beginners!